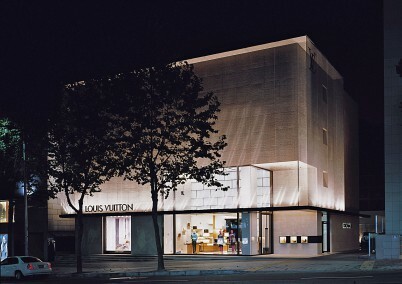 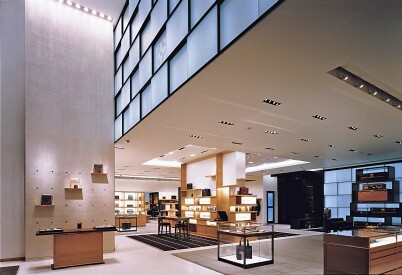 Along Chungdam Dong Street in central Seoul the first freestanding building for Louis Vuitton was designed to expresses the proportions of a monumental antique steamer travel trunk. 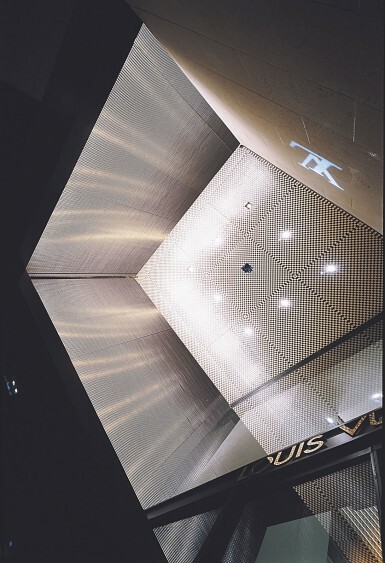 To architecturally capture the texture and pattern of the trunk’s “Damier” motif a double layer façade design was conceived. 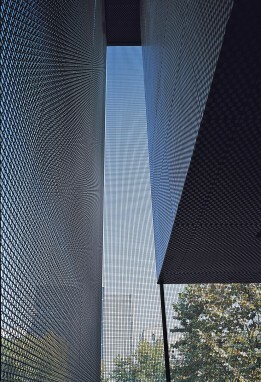 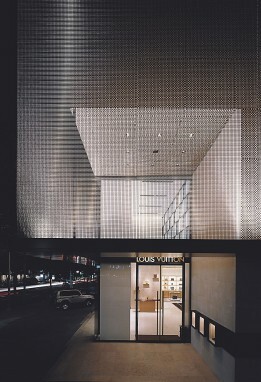 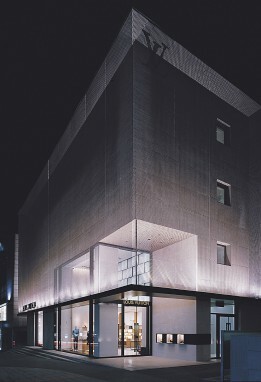 The base façade layer constituted of cream and brown glass mosaic tiles visually merges with the outer stainless steel mesh layer to create an enigmatic vibrant shimmering veil for the 2 level store and the regional office headquarters contained within.